CHINA BAY | The Sri Lanka Air Force’s first ever aerobatic team, the Blue Eagles, staged their first ever performance on Friday 11th January. The display featured five specially-painted Nanchang PT-6 training aircraft, and was piloted by Qualified Training Instructors from the No. 1 Flying Training Wing. 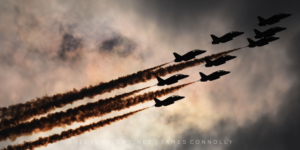 The aircraft performed a number of formation manoeuvres, breaks and solo aerobatics. The air arm also staged flypasts featuring the IAI Kfir, Chengdu F-7 and Hongdu JL-8, as well as a parachute display and Mil Mi-7 role demonstration. In the past, the Sri Lanka Air Force have staged basic formation aerobatic displays with the PT-6 and Hongdu JL-8, but this is the first time they have set up a fully-fledged aerobatic team. The Sri Lanka Air Force operates a fleet of six PT-6s, a Chinese basic trainer aircraft developed in the 1950s. 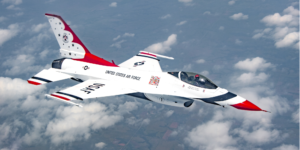 The aircraft is used by other aerobatic teams including the People’s Liberation Army Air Force’s ‘Sky Wing’ team and the Desert Rats, a civilian team from the United States. 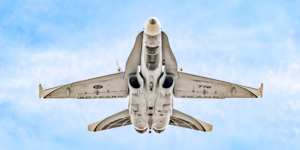 This entry was posted in Airshow News Military, Airshow News World on January 27, 2019 by Adam L..